A police force who used the Regulation of Investigatory Powers Act to spy on two Press Association journalists breached their human rights, a tribunal has ruled. Cleveland Police gathered call data from the mobile phone used by north-east bureau chief Tom Wilkinson for four days in July 2013. The force also used the Act – which is intended to be used in the interests of crime prevention and national security – to trace the mobile phone number of photographer Owen Humphreys to find out who it belonged to. Officers mistakenly believed Mr Wilkinson might have been the source of a leak about the resignation of the force’s Assistant Chief Officer, Ann Hall. Ms Hall had been suspended on suspicion of gross misconduct and had been due to face disciplinary proceedings – but as a result of her resignation the proceedings never took place. The first report of her resignation appeared in the Northern Echo on July 12, 2013, and was written by Graeme Hetherington, whose phone was also spied on as part of the investigation. Mr Wilkinson and Mr Humphreys were not informed that they had been spied upon until April 7, 2017. This week the Investigatory Powers Tribunal ruled that the authorisations obtained under the Regulation of Investigatory Powers Act (Ripa) were unlawful and ordered that they should be quashed. The tribunal further found the use of the powers had breached both Mr Wilkinson and Mr Humphreys’ human rights and ordered the destruction of all data obtained on the two men. Press Association editor-in-chief Peter Clifton said: “It was outrageous that Cleveland Police used Ripa to discover information about the mobile phones of Tom Wilkinson and Owen Humphreys, including calls data. “Tom and Owen are journalists in the finest traditions of PA and the use of these powers was entirely groundless. In July 2013, analysis of calls to and from Mr Wilkinson’s phone obtained by Cleveland Police show that at 12.27pm on July 12 he made a 20-second phone call to the Cleveland Police press office. He made two calls later that day to a man running a private PR firm who occasionally acted for Cleveland Police. Mr Wilkinson said: “I’m pleased that the tribunal found that Cleveland Police’s actions in monitoring my phone were not necessary or proportionate. “I was simply doing my job, covering the force as I have many times now in my 17 years at the Press Association. “It was unnerving to be called out of the blue, four years after the event, and to hear that my phone which I use both professionally and privately had been monitored. Mr Humphreys was working elsewhere on July 12, 2013, and had no connection with the story about Ms Hall’s resignation. It appears that the only reason police sought his details is because another phone number in the investigation had either called him or received a call from him. 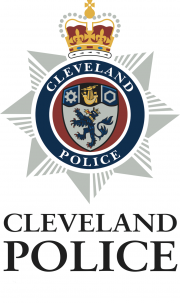 Cleveland Police at no point interviewed the men or contacted them directly about the source of the leak. Mr Humphreys said: “It’s outrageous that this happened because this was nothing to do with any kind of terrorism or national security which is what the Ripa powers are intended for. Ms Hall’s resignation had been leaked just over an hour before a planned public announcement. Lawyers acting for the Press Association submitted that news that she had quit her job was in the public interest as it meant a senior figure in the force had avoided disciplinary proceedings. This is only half a story. What happens next? Head must surely roll at Cleveland Police. Most, if not all of the heads at Cleveland Con-stabulary that were responsible for this and many other abuses of power, have already rolled. The smallest force with the biggest record for corruption. They made the Met look like a shining example of policing. As a former PA reporter I am pleased at the outcome of the hearing. I became increasingly frustrated over the years at the attitude struck by the police ( I generalise). If they wanted our help then they were all too eager to perused us to write such an such a story. But, and this was summed up once, when I rang a police station for details about a serious incident I was told: “Oh I am not going to tell you anything as we don’t want your help now.” They can’t have it both ways. The expression taking the rough with the smooth comes to mind coupled with the fact they are paid for from the public purse.